I’m here today with Jackie Jackson who has a TV show that airs in Orlando and Miami. She started by interviewing established and new entrepreneurs in different fields. Lately, it’s morphed into being more about real estate. Her show can also be seen online. 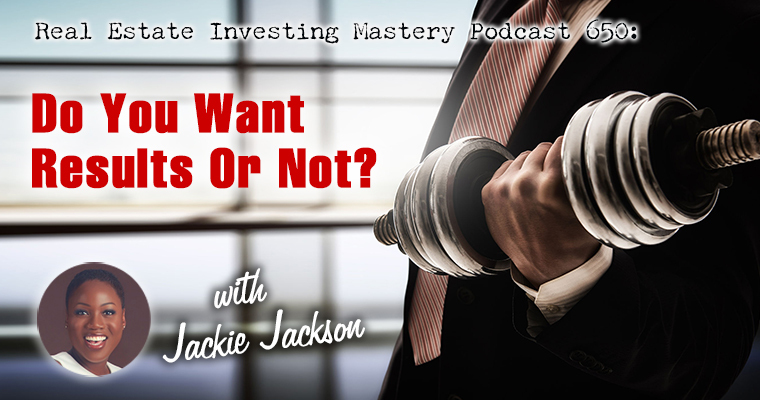 She’s still doing real estate investing, and her advice is that you should learn numerous deal strategies so you will have the right one to offer for ever-changing market conditions. Jackie started in 2006 when the market was pretty crazy. She followed what others were doing and it was disastrous. That’s when she began her education. She joined the REIA in Orlando around 2011 and really got serious about real estate. REIAs offer education, legislative support and access to contacts with the resources you need to thrive. Jackie coaches, too, and holds students accountable. She expects students to ‘touch’ a lot of prospects as a learning experience that allows them to lose the fear of talking to people. She teaches wholesaling as the most basic strategy. Once a student masters that, Jackie adds other strategies. She recommends going back to sellers with 3 possible solutions… cash, owner financing and maybe a lease option or mortgage takeover. Out-of-state absentee owners with older properties make great prospects. That’s the mailing list Jackie’s gotten the best results from. She further refines the list to capture owners aged 60–80. Jackie sometimes uses auctions to sell properties. They attract buyers of all sorts, and the competition among buyers always results in a sale. So much good info to unpack here.